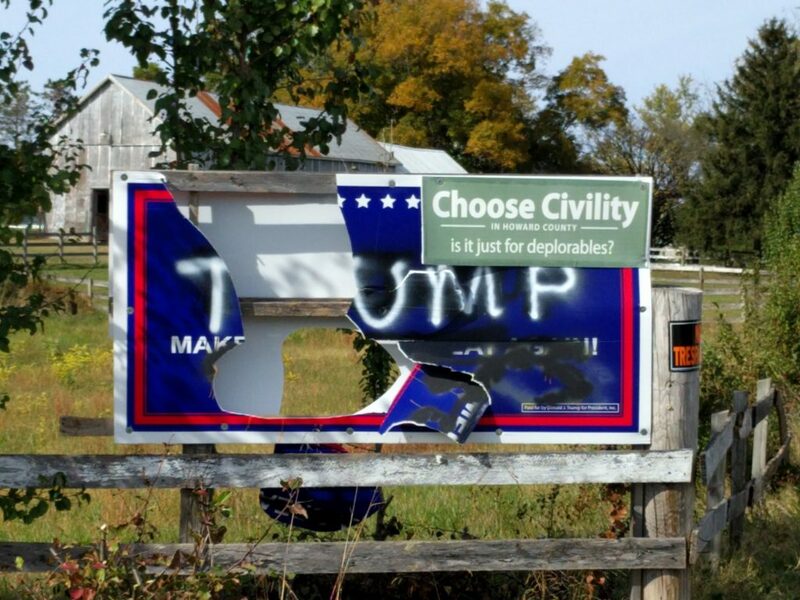 Here in Maryland, Howard County has a bumper sticker you see on almost all the cars – it’s basically that green sign on the top right (without the deplorable thing, of course). So when I saw this, I was blown away at the awesome creative nature of the situation. It’s a nice bit of humor in what’s been a horrible election.